This round sign measures 30″ across and is made in red, white, and black. The sign has a white background and red details. 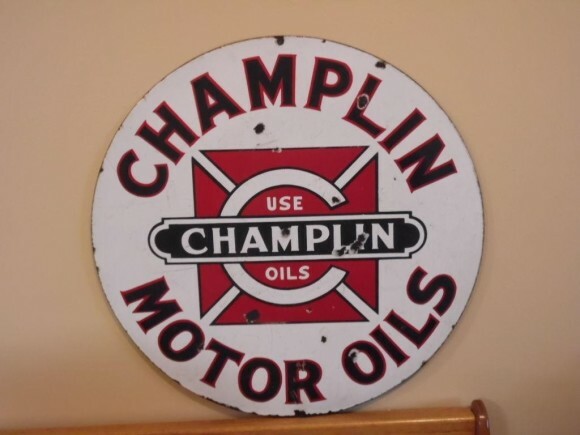 The text of the sign is in black and reads “Champlin Motor Oils, Use Champlin Oils. There is a large C created in the center from the negative space. This is a round porcelain sign.